Every night feels like a slumber party when you are wearing a pair of comfy pajama pants made from your favorite fabric. Learn to use a serger for all of the primary pant construction. This project is great for the beginner sewer as well as the veteran. 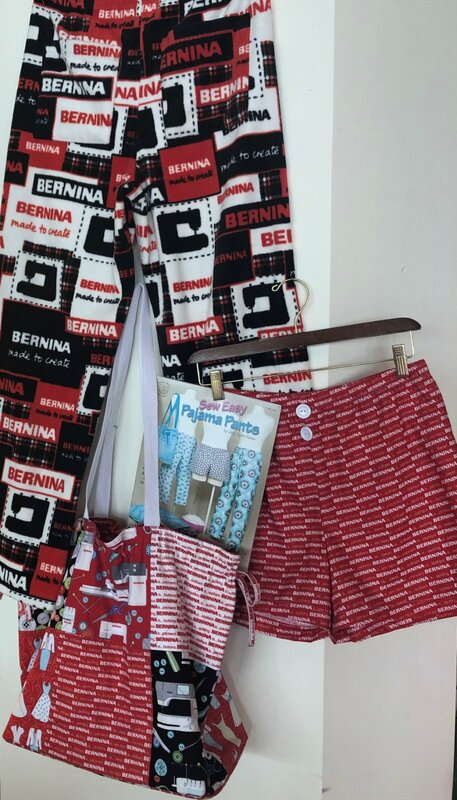 Class fee includes this superior quality BERNINA branded fleece fabric, pattern booklet, waistband elastic, and the use of our sergers if you don't own one. After class have fun making a matching pillowcase, a great tote bag and a pennant banner. Sweet Dreams and remember...Always wear cute pajamas!